My first showing in 2018! 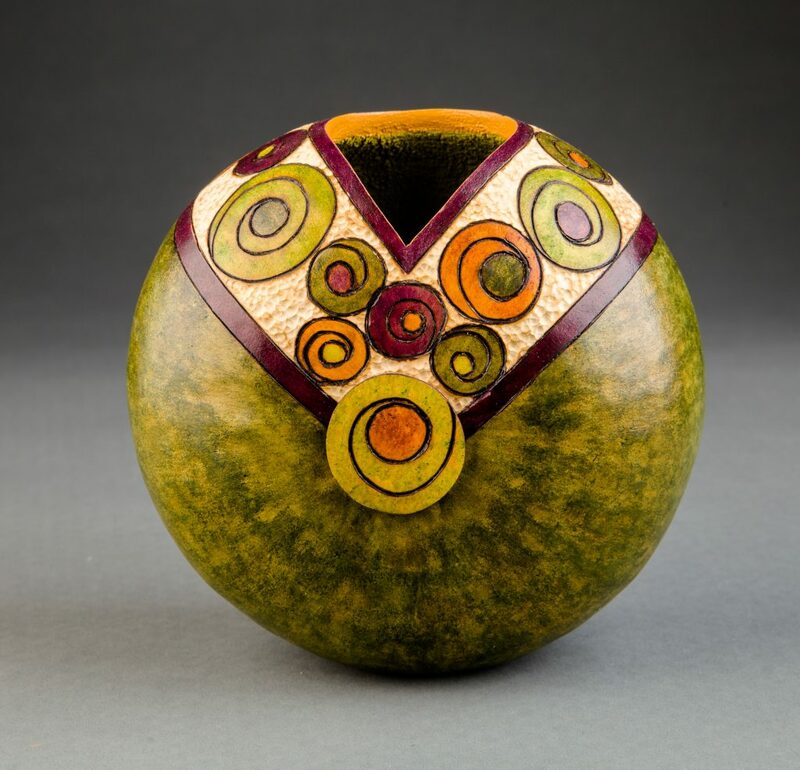 Many new gourds will be on view (and for sale, of course). 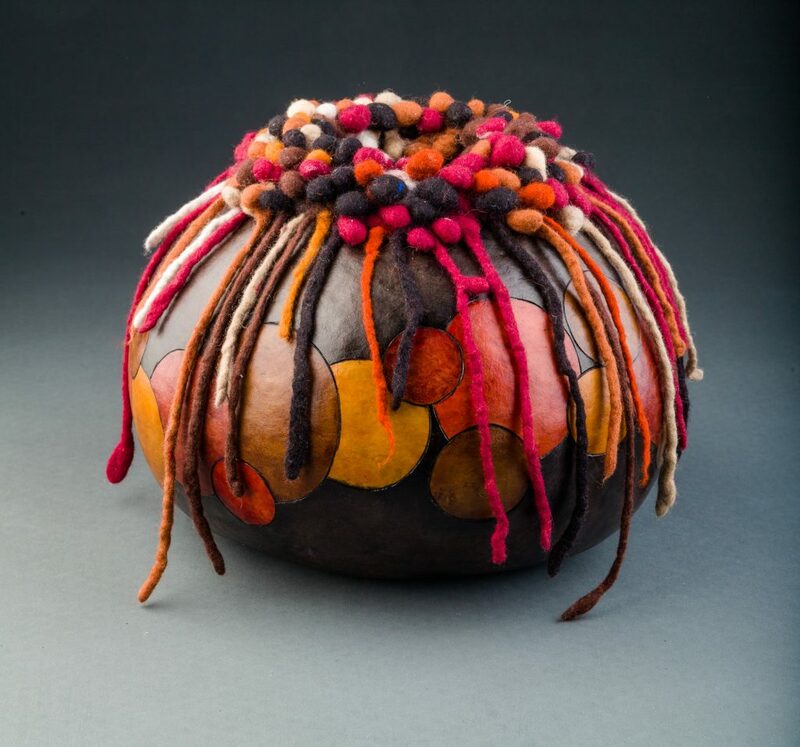 This year I’ve experimented with felting and incorporated some with my gourds. Thanks to Robbin Firth of Heartfelt Silks who taught me upwolfing as seen on “Dancing Circles”. In just one week! More info to come! 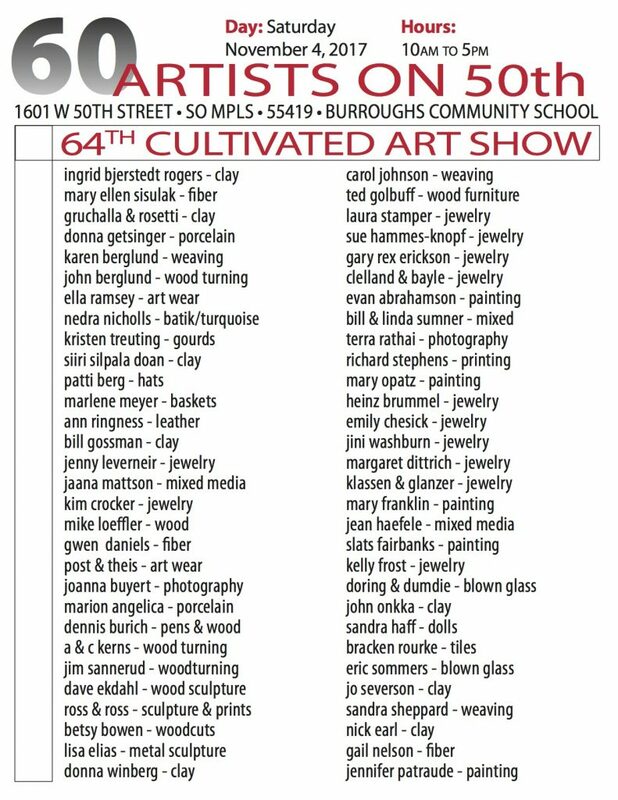 This is our 6th annual show and includes wonderful new work from our 8 resident artists. 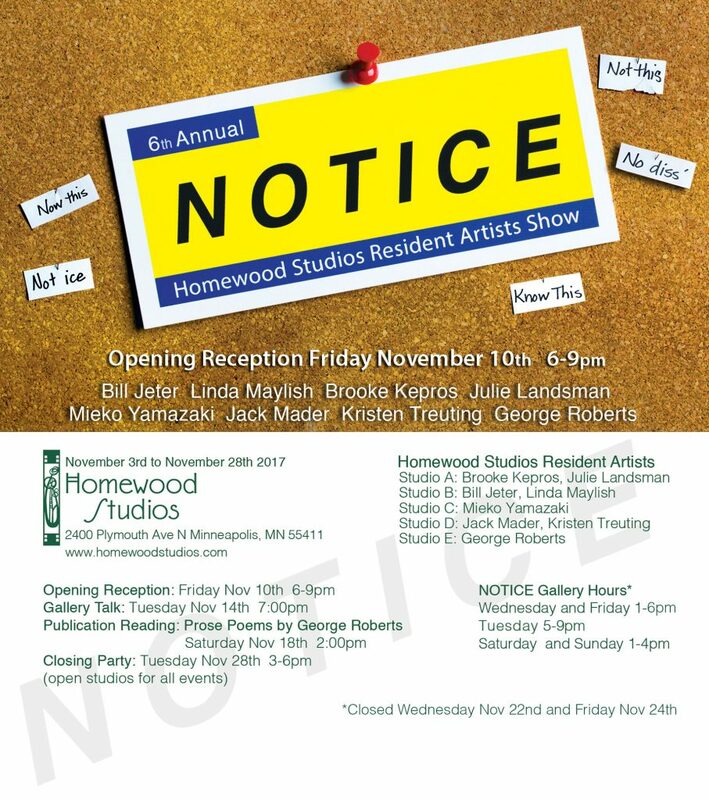 There will be many opportunities to see the show during the month of November (see flyer). Hope to see you there! 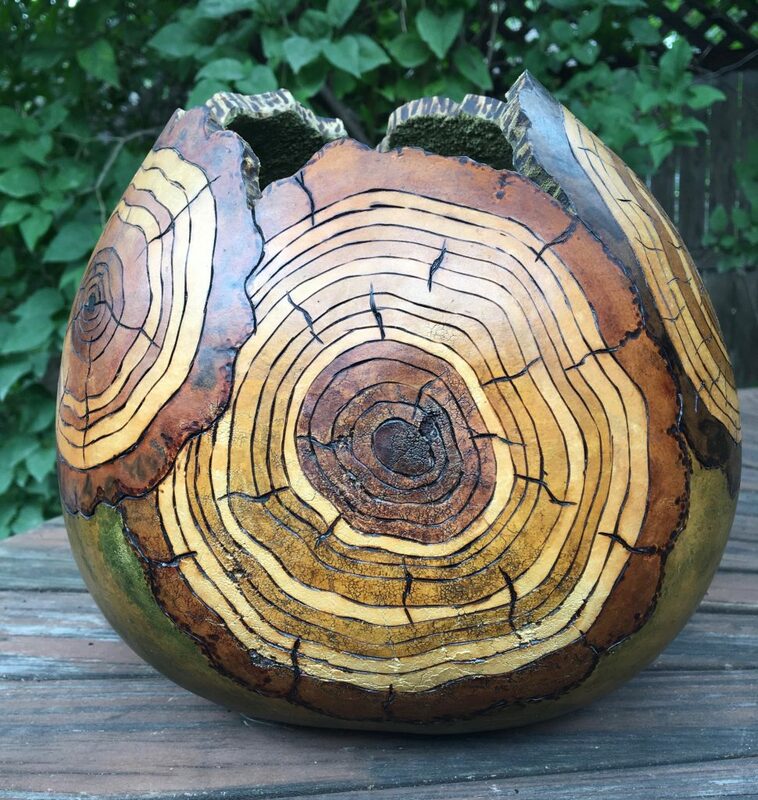 Powderhorn Art Fair! This coming weekend – August 6-7th!